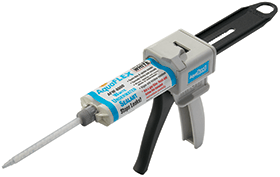 Strong and flexible - far superior to silicone caulk! 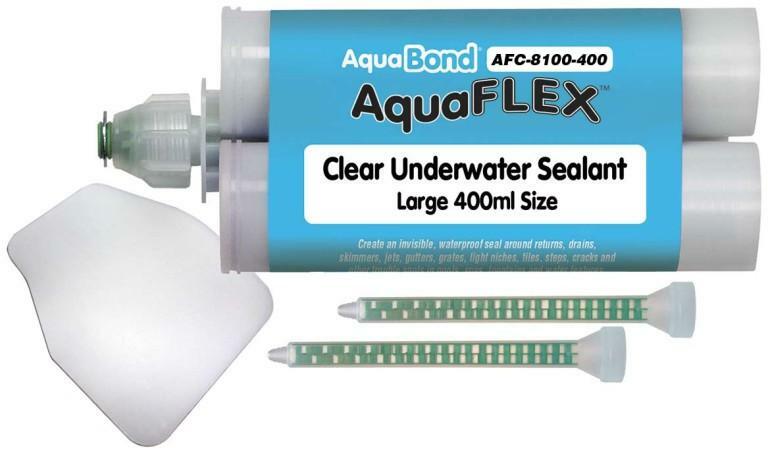 AquaFlex Underwater Sealant invisibly seals swimming pool leaks, tears, thin cracks and spider cracks - all without draining the pool! 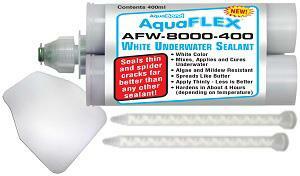 AquaFlex Underwater Sealant mixes, applies & cures underwater! 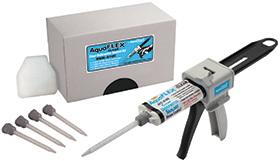 If you’re looking for a professional, superior quality swimming pool leak sealant that really works underwater, AquaFlex is your best choice. There is simply nothing else like it available anywhere else! 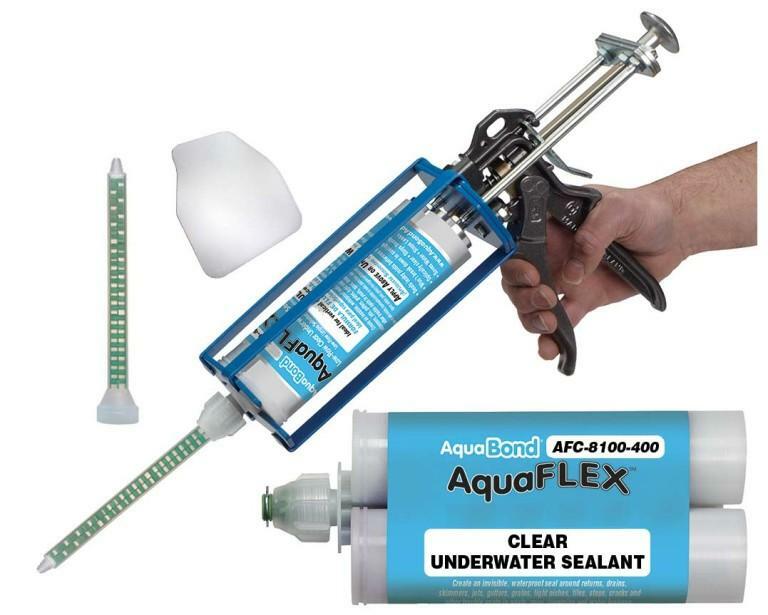 It's a specially formulated hybrid resin that spreads like warm butter and fills thin and spider cracks like no other underwater sealant can. 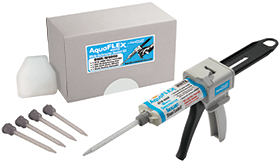 AquaFlex creates a long-lasting, flexible, waterproof seal around returns, drains, skimmers, jets, gutters, grates, light niches, tiles, steps, coping, cracks, expansion joints and other trouble spots in swimming pools, spas and water features. 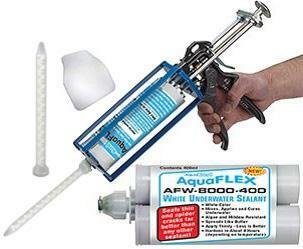 And it's available in two color choices - AFC-8100 (Clear) or AFW-8000 (White) - to make color matching unnecessary. 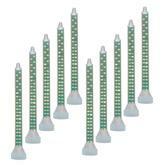 Begin with a complete 50ml starter kit, then purchase additional cartridges and static mixer tips as needed. 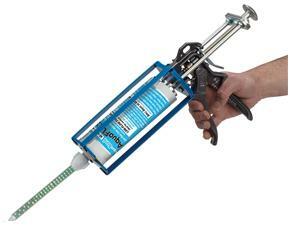 Designed for larger jobs and applications! *Film comes to you as a “tube.” Slice along seam and unfold to 120 inches x 17 inches. Cut pieces as needed for repairs. 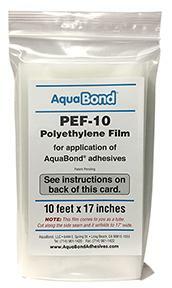 Use with our new, Patent Pending PE Film Application Process.